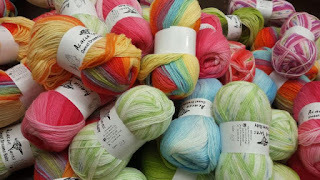 March Madness Sale Begins at The Yarn and Fiber Company! Today's sale includes great deals on Cascade Yarns, Elsebeth Lavold and Select Noro Yarns! Welcome to The Yarn and Fiber Company March Madness Sale! Every weekday the sale changes at Noon (Eastern Time) so check back daily for great savings on your favorite yarns! Today's sale runs through March 2, 2009 at Noon (Eastern Time). New yarn sales feature everyday! Check back daily so you don't miss out on your favorite yarn! 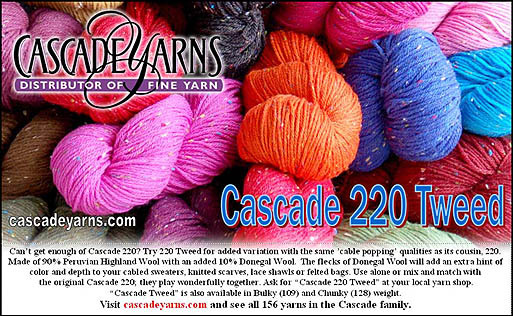 10% off in-stock Cascade Yarns! We have just added lots of yarn and additional yarn lines for this event! Enjoy! 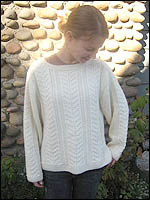 Cascades classic Peruvian highland wool in a chunky weight, knits even faster! Cascade 220 Superwash is a machine washable worsted weight pure wool yarn available in hundreds of colors, including paints and heathers, ideal for baby garments, sweaters, hats, scarves or just about any project requiring a non-felting, washable, worsted weight yarn. Cascade 220 is a classic feltable worsted weight pure wool yarn available in hundreds of colors, including paints and heathers, great for sweaters, hats, scarves or just about any project requiring a worsted weight yarn. Fabulous soft sock yarn in Superwash Merino in Cascades great color selection. Cascade Pastaza Yarn is a super soft wonderful blend of luxurious Llama and finest Peruvian wool, softly spun, in a worsted/aran weight, suitable for sweaters and scarves. Pastaza holds textures and cables beautifully, felts well, and is quite lovely to work with. Super soft peruvian, ecologically friendly worsted weight yarn from Cascade Yarns. Knits beautifully and comes in generous 8 oz skeins with terrific yardage, just two skeins makes a sweater in fabulous colors! Super soft peruvian, totally natural undyed and ecologically friendly worsted weight yarn from Cascade Yarns. Knits beautifully and comes in generous 8oz skeins with terrific yardage, just two skeins makes a sweater in these fabulous natural colors! 25% off in-stock select Noro Yarns ! 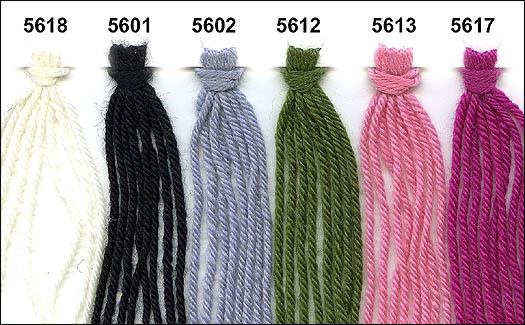 Sale prices are shown on the sale yarns. Sale rules and policies: Sale begins promptly on February 27th at 12:00 PM EST and ends on March 2nd at 11:59 AM EST. Friday sale post will run from 12:00 PM EST to the following Monday 11:59 AM EST. Yarn lines change daily at 12:00 PM EST. Your online order must be placed prior to 11:59 AM EST to receive the sale price for that day. All sale yarns are final purchase – no returns and no cancellations of orders excepted. Sale price does not apply to special orders or backorders. 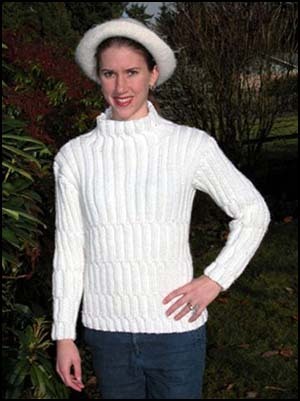 Sale applies only to in-stock yarn. The Yarn and Fiber Company reserves the right to remove and/or add items to the sale on any given day at any given time without notice. Items that run out of in-stock quantities may be removed from the online sale without notice as deemed necessary by The Yarn and Fiber Company. Ivy Brambles Superwash Worsted Yarn is a deliciously soft hand dyed worsted weight yarn that is machine washable (cool) and dryable (low heat) designed for sweaters, baby garments and accessories desiring a worsted yarn, and with 250 yards per $18 skein this is perfect for one-skein projects. This is truly a spectacular yarn! New Inspiring Colorways from Ivy Brambles Hand-Dyes! 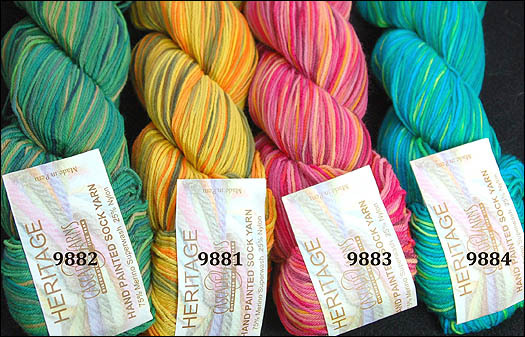 Ivy Brambles has delivered new exciting colorways to the Sockscene Sock Yarn line at the Yarn and Fiber Company! If you aren't familiar with Ivy Brambles Sockscene yarn, it is a fabulous 100% superwash merino sock yarn in skeins of 410 yards. Perfect for socks, shawls and baby garments. Come and see! Introducing, and just in time for Valentine's Day, Pink Rose, a marvelous colorway that brings roses to your needles. Next in line, is Copper Mine an amazing colorway! 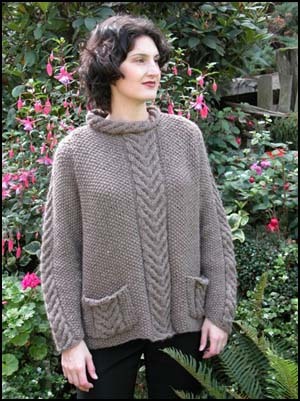 The majestic Grand Canyon is now featured as a new Ivy Brambles colorway. A tremendously gorgeous colorway! The Friars Bay colorway is inspired by the serene warm blue-turquoise waters of Friars Bay in St Martin. The new Forest Trail colorway captures the heart of a forest with glimpses of light coming through the trees.... Stunning! Petunias is a vibrant blend of purple and red and makes you long for Spring and Summer on a cool winter day. Maples in Fall is a wonderful subtle colorway inspired by the glorious yellow and orange tinged leaves of maple trees during the Fall in New England. Pomegranate is definitely a new favorite and was selling before it left the box! Amazing colorway that is simply beautiful. The Storm colorway is a luminous grey with reddish-pink overtones. Introducing Zinnia! Another amazing colorway from Ivy Brambles hand-dyes! These new colors are sure to be pleasing for your next pair of socks or shawl! Have a great day and Happy Fibering!